Get a list of Excel keyboard shortcuts, or use the interactive list, shown below. 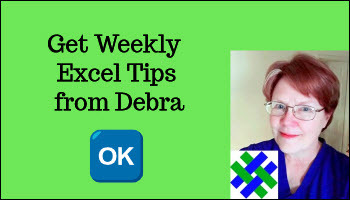 Also see the list of Top Excel Tips, to save time. Copy value above ...... Ctrl + "
1. Download the pdf file: Excel Tips and Keyboard Shortcuts.